Noah Cooper was born to own a camp and has been a camper since the age of three. 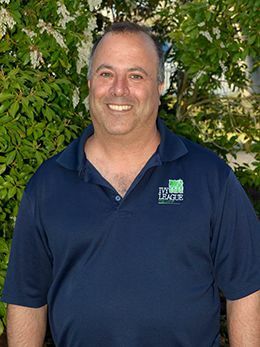 From an early age, Morry Stein and Ben Appelbaum (former owner of Ivy League), legendary leaders in the camping field, recognized Noah’s passion for camping and helped shape his camping philosophy. His goal is to provide a camping experience for each child similar to what it was for him – a home away from home. Noah and his wife Margaret reside on the Ivy League campus with their two children, Gavin and Cora. Margaret Velez-Cooper and her husband Noah have been partners at Ivy League Day Camp and School since 2000. She brings to camping a strong passion for the arts and fitness. With over 20 years of experience in the fitness and performing arts industry, Margaret has taught at Towson and Columbia Universities and has her own Pilates studios in Smithtown and New York City. 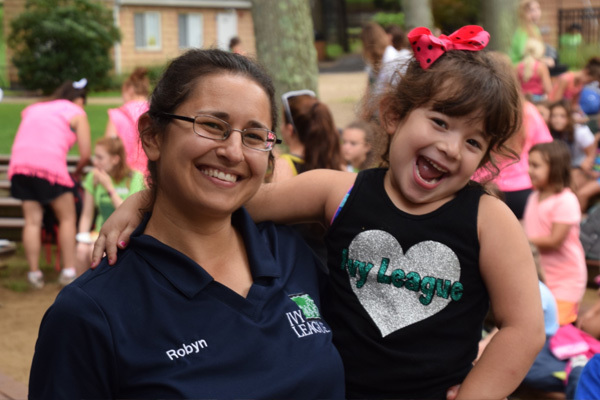 As a strong believer in the educational value of camp, Margaret has worked assiduously to establish The Ivy League Foundation, which supports camp scholarships for local families. Margaret and Noah reside on the Ivy League campus with their two children, Gavin and Cora. Meredith Stern considers Ivy League her home away from home. She spent the summers of 1979 through 1997 at Ivy League as a camper, counselor and Division Leader. In 2009, Meredith returned to Ivy League after an impressive career in Health Care Administration in New York City. 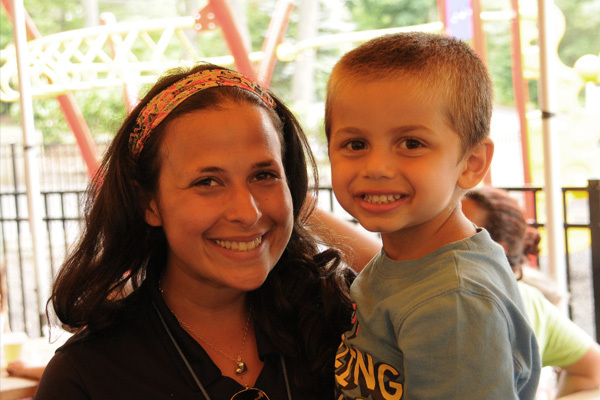 Working at Ivy League year round, she brings her love of camp into everything she does. Her three children, Justin, Evan and Carly, have all been at Ivy League year round attending both the school and of course, day camp. 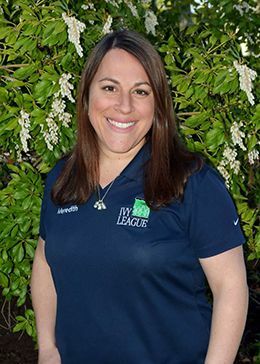 Meredith is proud to be a Director at Ivy League and welcomes the opportunity to bring the Ivy League experience and traditions to your family. 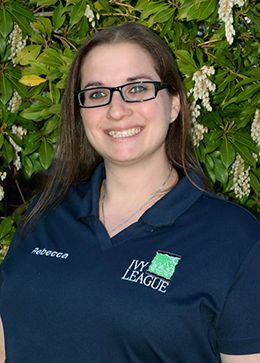 Running our office year round, Rebecca Woltmann grew up as an Ivy League camper, student and staff member. 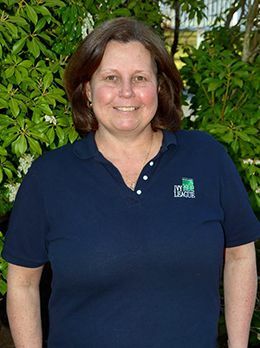 She joined our leadership team in 2007, closely following the footsteps of her mother, Linda Kaplan, who dedicated over 45 years to Ivy League School and Day Camp. Rebecca manages the office year round and is in charge of camper registration, the camp portal, CIT’s and everything else that comes her way. Rebecca’s sons Ryan and Jaxon attend Ivy League year-round, following their mother’s footsteps, and began at Ivy League as soon as they were old enough. 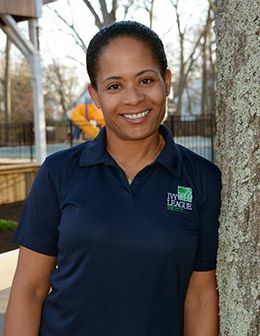 Theresa Dunne has been working at Ivy League School since 1997, and joined the camp leadership team in 2006. Theresa works behind the scenes at Ivy League year-round and is the glue that holds the team together making sure that each camp and school day runs smoothly. Additionally, Theresa coordinates the entire teen travel program making sure each trip is as successful as the next. When not at Ivy League, although we swear she sleeps here, Theresa enjoys spending time with her husband Brian, her three daughters, Meaghan, Shannon, Caitlin, and her granddaughter Johanna. 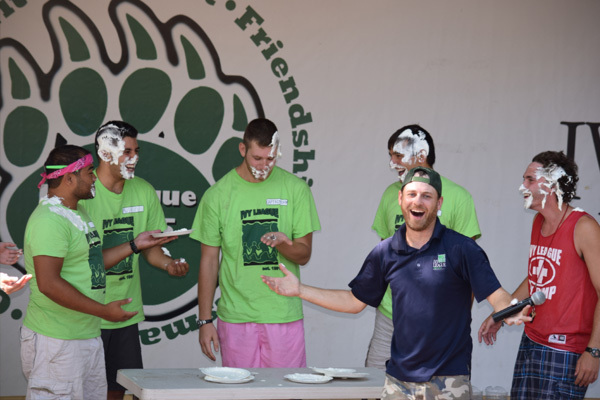 To learn more about Ivy League Day Camp, contact us to meet our staff and tour our grounds.